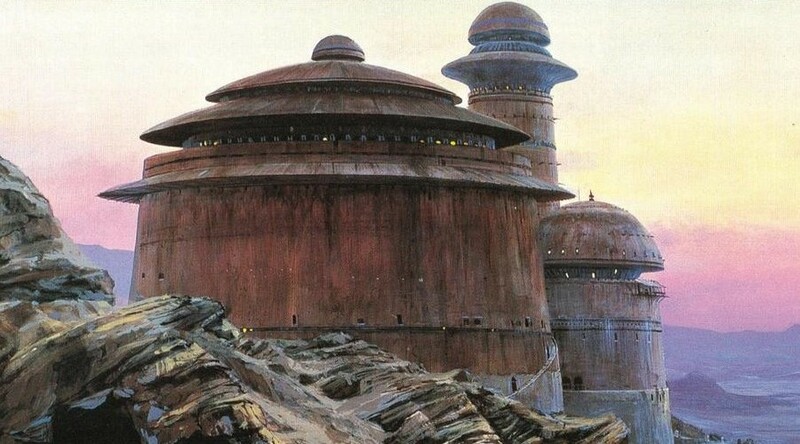 The set consists of Jabba’s throne room and a tower. The front of the set is open, while the back of the set is mostly closed. I wasn’t sure about the tower part of the set at first, but when combined with the throne room section, it does make it look something like the exterior of Jabba’s Palace. The back wall of the palace swings open so you can access the rear of the throne room. For reasons that escape me, there is a firing missile in the roof of the palace. The roof itself isn’t actually attached to the building, making it easy to lift off to access the throne room below. In the throne room, you have the throne, which slides back and forth over the “rancor pit,” just like in the movie. When the throne in the rear position, it even has the steps to the left and right, which I thought was a nice touch. There’s also a little area underneath the throne where you are apparently supposed to store things like gold, a froggy snack and a spare gun. I like how they recreated the barbecue behind Jabba (complete with frying pan :D). The designers of this set really took their time to get a lot of the little details right. To Jabba’s right (our left) is a little alcove where the Han in Carbonite figure is displayed. The “thawed Han” figure can snap into the rear of the carbonite block, and you can spin the whole thing around (with Han facing outward, in that case) to reenact the thawing scene). Speaking of which… Han, Oola and Leia all have heads with different expressions on them, which is a very nice feature. There is a sliding lever that you can use to open the “rancor pit,” although there’s very little space to actually have any figures fall down into it. I’m hoping that there will be some sort of a rancor put addition later on. That would be awesome. There are 10 minifigures that come with this set, 7 of which are new (the B’omarr Monk, Han in Carbonite and Chewbacca figures are re-used from other sets). 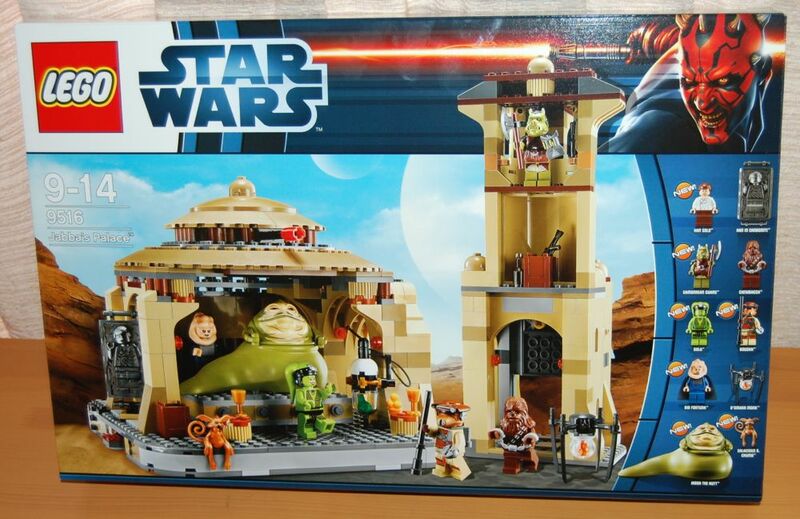 The Jabba is probably one of the biggest draws for this set. 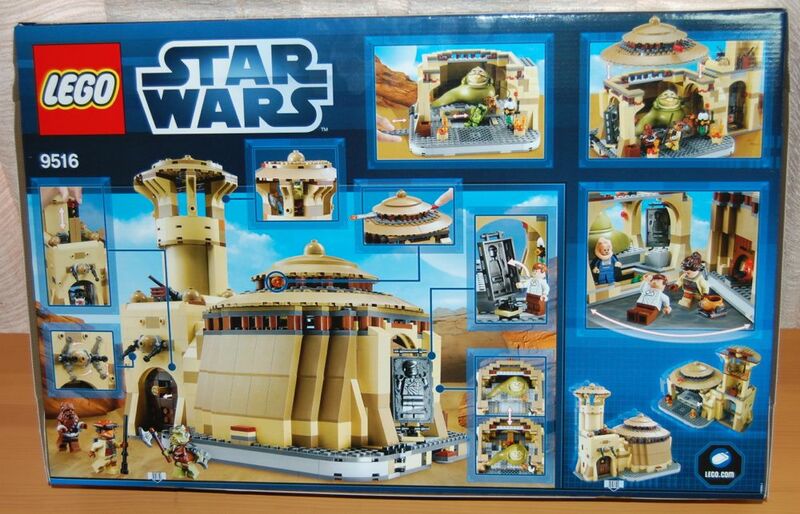 It’s totally different from the one that came with the old Lego Jabba’s Palace. Personally, I much prefer this one. It’s bigger, the paint is well done, and he can turn his torso 360 degrees in addition to moving his arms. They even included his arm tattoo. The old Jabba’s Palace set had Slave Leia instead of Oola, so it makes sense that we’ve never had a Leia as Boushh figure before. We’ve also never had an Oola figure before, although I did make a custom Oola before. The Gamorrean Guard is quite an improvement over the Gamorrean included with the old Jabba’s Prize set, although it seems that they are moving farther and farther away from the simple LEGO style that they used to use, and closer to Kubricks in terms of level of detail. Salacious Crumb is also new, although he has no moving parts or anything you have to assemble, so he’s more of a uniquely-shaped brick than a minifigure per se. I’ll have to say, I really like this set. I do think it’s expensive for what you get (especially in Japan!) but about the only thing I can think of to improve it would be an actual Rancor Pit, plus more palace aliens and the Rebo Band. Let’s hope these will come later at some point.